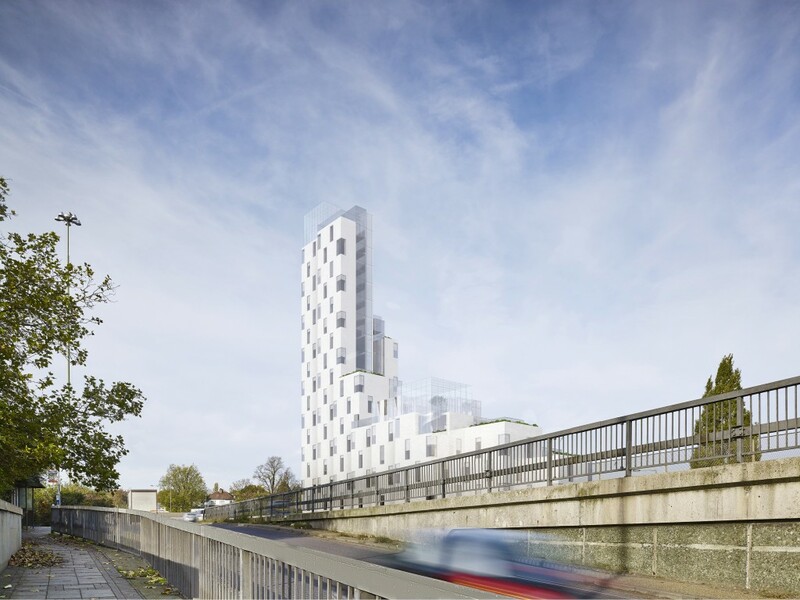 eye-kon was commissioned to produced a series of Verified Views for a planning submission of a high rise Hotel in the Brent Cross Area. Four fully rendered Verified Views and three Wireframe Views were delivered. The Brent Cross Hotel as proposed by Kruger and Krause Architects presents a luxury hotel comprised of a series of blocks at different levels of extrusion, the massing of which correlates directly with the surrounding context in terms of the scale of these blocks. Eye-kon produced five fully rendered verified views for this project, of which were used as material for planning submission. 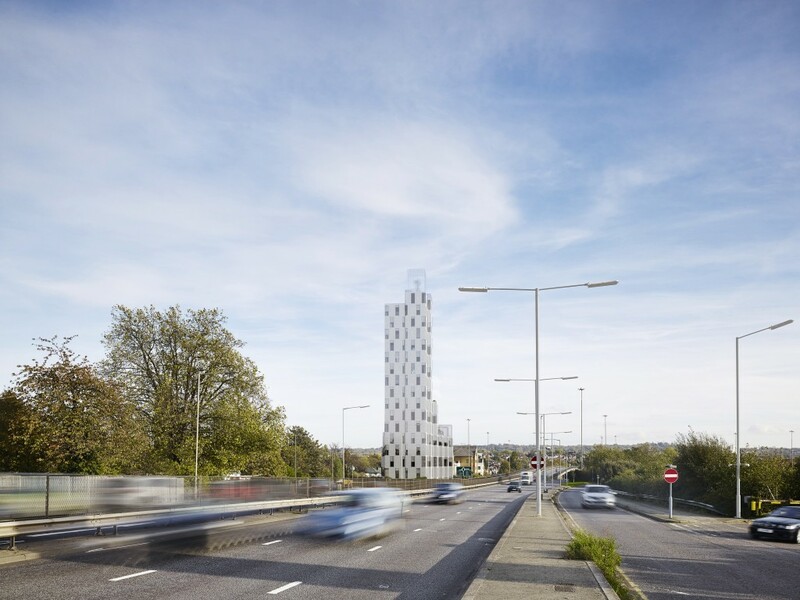 Due to the shape, and the context of the site – surrounded by a trio of busy roads it is a challenging place to develop, the use and arrangements of the building blocks aims to maximise the available foot print. 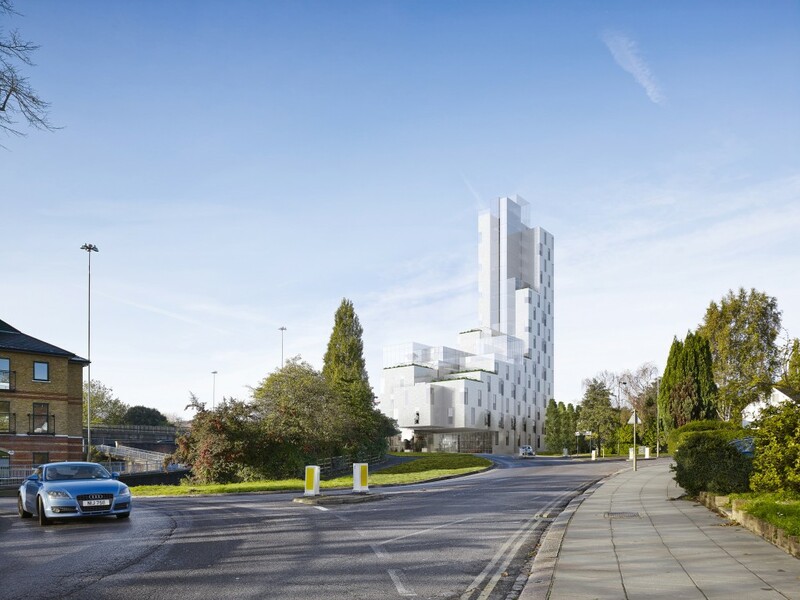 With Brent Cross shopping centre to the west, offices to the south and housing to the east, the project lends to unite these groups by providing leisure and business facilities. 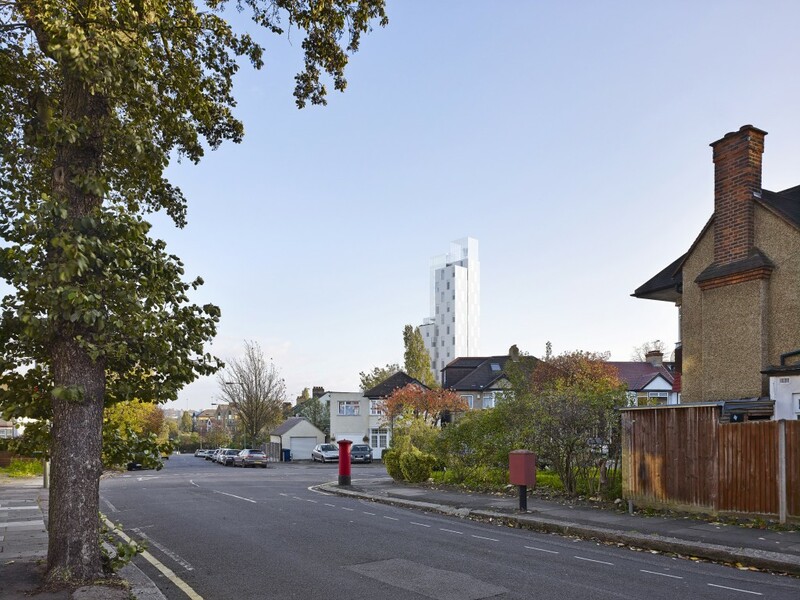 The verified views produced by eye-kon allowed for a true, accurate depiction of the proposal within it’s setting and showcase the proposed design from the mentioned dual carriage way, as viewed from the residential zone and also from the west.